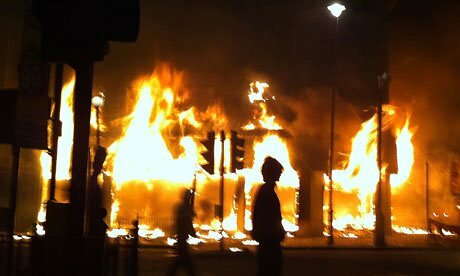 The media firetriggers of the Tottenham Aug 2011 riots – slack reporting, prejudice, disinformation and institutional racism – are still crackling away in the wake of the Brexit vote. Negative press reporting fuelled distrust of Black people, poor people, ethnic minorities and urban youth. Hence, ensuring fair media practice is urgent, and here are 5 tips for fundamental change. First, private and public media broadcasters must add a pro-Publica logo to their mastheads. This means positive coverage of Black and minority ethnic people, with guidelines ensuring fair practices. David Lammy’s Out of the Ashes is an exemplary addition to promoting fair media practices. Born and bred locally, the Tottenham MP explores the human stories behind the headlines. Far from a breeding ground of dysfunctional families – of addiction and lawlessness – the causes of the riots are still with us and something must be done to solve them. Second, journalists must improve their reportage. This largely means getting out of the office, spending time in communities to ferret out issues rather than merely reacting to events. It also means listening to the grievances of the communities directly affected, many of whom are people of colour. They also need to review their contacts list and rosters of quoted experts to include more people of colour, women and others too often overlooked by reporters and politicians. Evidence shows there is no suffrage in Britain’s media. “Many Black people, particularly young ones, I have spoken with think the “riots” were badly reported”, said Marc Wadsworth, editor of The-Latest, a citizen’s online journal. Youth dispute the “nasty stereotypes about them being used by biased journalists”. Third, media editors and presenters must reality check their assignments and the stories their staff submit. With news-beat knowledge, they can reframe stories as sound unbiased “news” stories. Furthermore, they have to learn to deal openly and honestly, with issues of media equality. Unreconstructed, they reflect the media’s timeworn practice of “blaming the victim”. Fourth, academics, professionals and union members must up their game. Academics need to teach from oral texts — with the voices of the unheard at the grass roots – not just the accusative gatekeepers and token spokespersons. Journalist and Prof Richard Keeble put it succinctly in his The Newspapers Handbook. Teachers of the next generation of professional journalists must “seek to inspire students to be creative and daring in their journalism: to challenge dominant news values, lies, myths and stereotypes”. Fifth, “riot” journalists and politicians must instil both ethics and ethos in a corrupting media. The unheeded evidence mounts from the experiences of Black journalist authors and members of the National Union of Journalists. Alex Pascall, of the ill-fated, groundbreaking BBC radio programme Black Londoners (1970s-1980s) still challenges the racist elements in broadcasting. Lionel Morrison, senior journalist and author of A Century of Black Journalism in Britain: A Kaleidoscopic view of Race and the Media (1893-2003), told the Delegates 2011 meeting that the facts limit fair play in the media. “Of approximately 38,000 members of the NUJ, 1,000 are black – about 2.6%. This is a disgrace”, he said. The number of black people in the media, as a proportion of black people in the total British population is “very, very, very low…we need to do something about this” said Morrison. The veteran reporter and editor of The-Latest.com Marc Wadsworth urged more black participation in the media and wider coverage of community views, in The Riot and the Media report. Clearly, UK news producers must face up to the change challenge: set goals for minority employment that matches minority representation in the population. Clearly, from this perspective, fair media practices are essential to the search for solutions to urban unrest. Why? Because we need to understand how the media fuel “race riots,” and learn how to respond to it. The result will be a new more authentic, high quality resource of news production for 21st century journalists. With new commitment, reporters, editors and the news industry as a whole will be better equipped to honestly report the fire next time.